Sesame Street – Big Bird Learn & Color Shape Blocks for just $9.00! You are here: Home / online shopping / Amazon / Sesame Street – Big Bird Learn & Color Shape Blocks for just $9.00! 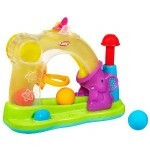 If you are looking for gift ideas for little ones, then check this out. You can get this Big Bird Learn and Color Shape Blocks set for only $9. You save 61% off the list price! It is never too early to start planning for Christmas or stocking up for for birthdays. Big Bird makes learning fun! Color and shape learning is communicated when children place one of three blocks with colorful shapes on them in Big Bird’s lap. 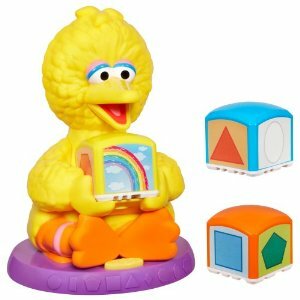 Big Bird can identify the blocks placed in his lap, sing a song about colors, and even has a question mode. 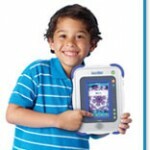 Other characters sold separately. However, all blocks are interchangeable between characters. Figure comes with 3 blocks. Includes 3 “AA” batteries. 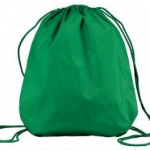 Get FREE super saver shipping when you spend $25 or more or free 2 day shipping if you have Amazon Prime. REMEMBER: Pricing on Amazon can change at any time! Please verify final pricing before confirming your purchase. 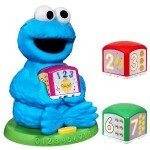 Sesame Street Cookie Monster Find & Learn Number Block for just $9! 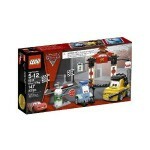 LEGO sets for under $10: perfect for Christmas! 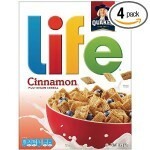 Amazon: Life Multigrain Cereal for $2 per box!